After years of writing and making shows about the most beloved and admired 4-wheeled machines on earth, we had the chance to craft “that dream” show. An inspiring and really funny buddy movie, filled with the most beautiful cars in the world. Will Buxton is a top Formula 1 Journalist and commentator. Jason Swales is his producer. Together, they travel the world, following the F-1 circuit. It’s a media life; they hang with the elite, while driving subcompact rentals and hauling their own gear. But once in a while… they get a surprise or two. 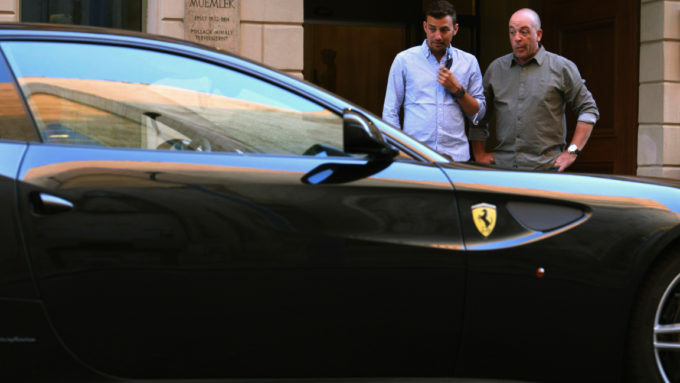 In Road To Ferrari, Will and Jason are given a brand new Ferrari FF, to drive from Budapest to Maranello, Italy. There they’ll have the interview of a lifetime and drive the famous Fiorano Test Track. On the WAY, however, they have the time of their lives. Side trips to Pininfarina, Monza and small Italian coach builders pave the way. Emotional, gorgeous and often hysterical, Road to Ferrari is a trip you’ll never forget.